Definition: In psychology, the word subconscious is the part of consciousness that is not currently in focal awareness. The subconscious mind stores all of our previous life experiences, our beliefs, our memories, our skills, all situations we have been through and all images we have ever seen. The best way to understand the subconscious mind is to look at the example of the person who wants to learn how to drive a car. In the beginning, he wouldn’t be able to hold a conversation with anyone while driving as he would be focusing on the different moves involved. That’s because he’s still using his conscious mind to drive. The word “subconscious” represents an anglicized version of the French subconscient as coined by the psychologist Pierre Janet, who argued that underneath the layers of critical-thought functions of the conscious mind lay a powerful awareness that he called the subconscious mind. In the strict psychological sense, the adjective is defined as “operating or existing outside of consciousness”. The subconscious mind is responsible for the automatically triggered feelings and emotions that you suddenly experience upon facing a new situation. If people were about to give a presentation then all the fear and anxiety feelings they might experience are in fact launched and controlled by their subconscious mind. The conscious mind is, on the other hand, responsible for logic, calculations and all actions that are performed while people are conscious. 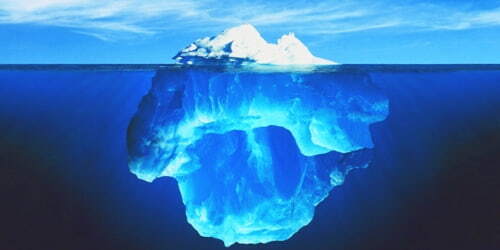 The subconscious mind also controls other functions in their body like breathing and heartbeats. Simpler Way to Harness the Power of Subconscious Mind: People might want to define the influence of subconscious thought if you are interested in how its presence shapes consumer behavior. While only a few of us have an extensive scientific background, access to research laboratories, and sufficient funds to run these types of studies, it’s incorrect to assume that there’s no other way to harness the power of subconscious mind. 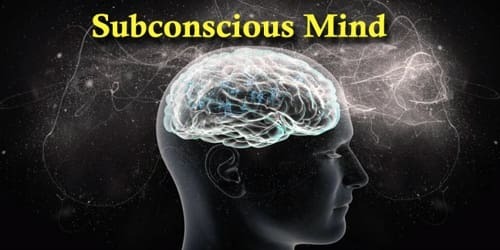 Rules of the subconscious mind: In order to best use the power of their subconscious mind people must first know how the subconscious mind works. The subconscious mind is governed by many rules. Learning about these rules will allow people to make the best use out of their subconscious mind with the least effort. At the bottom of the article is a link that contains all the information they need to know about the rules of the subconscious mind. Conclusion: The subconscious creates our emotions, often independently of the input of the conscious mind. This explains why emotions can appear so irrational and “inappropriate” – why we can wake up in the morning grumpy or anxious and find ourselves completely happy and optimistic at lunchtime, without that “logically” anything had really changed.